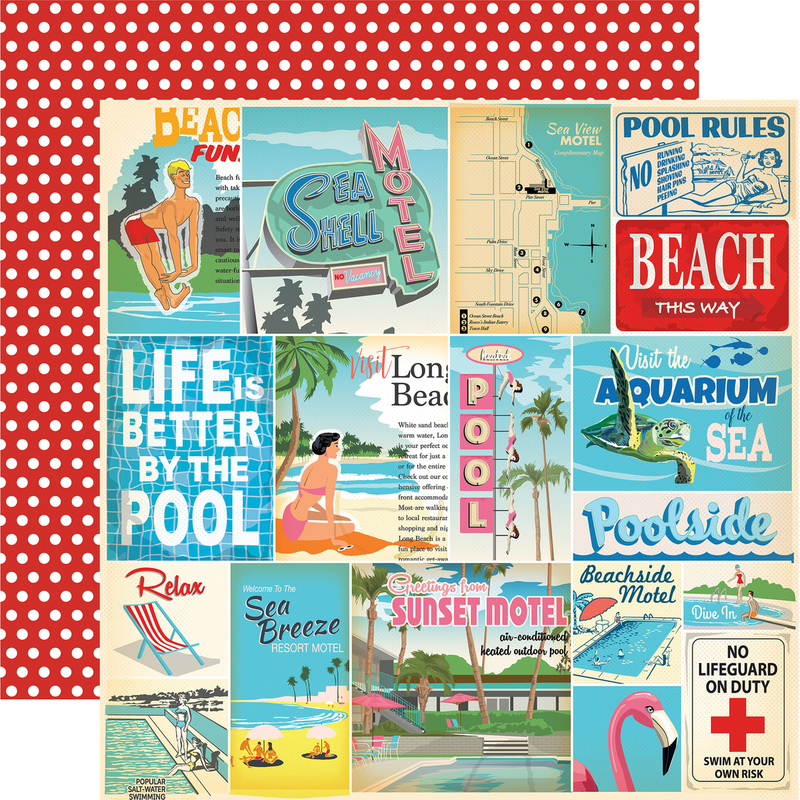 This 12x12 double sided paper has Vintage Retro Images on Journaling Cards on the frontside. The reverse side is Red with White Dots. Part of the Summer Splash Collection by Carta Bella Paper. Look for coordinating Chipboard Phrases, Chipboard Accents, 6"x6" Paper Pad and other selected Designer Papers.